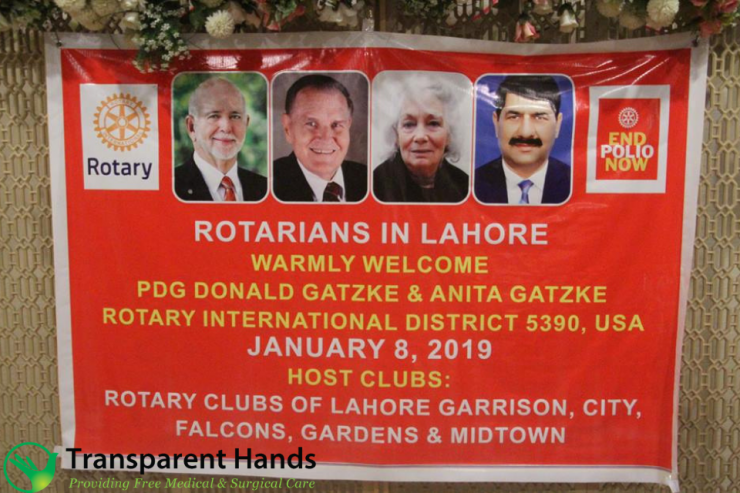 CEO Transparent Hands Ms. Rameeza Mueen was invited as a guest speaker to an event which was co-hosted by Rotary Clubs of Lahore Garrison, City, Falcons, Gardens and Midtown in honor of visiting Rotarian PDG Donald A Gatzke and his spouse Ms. Anita Gatzke from Rotary International District 5390 USA. 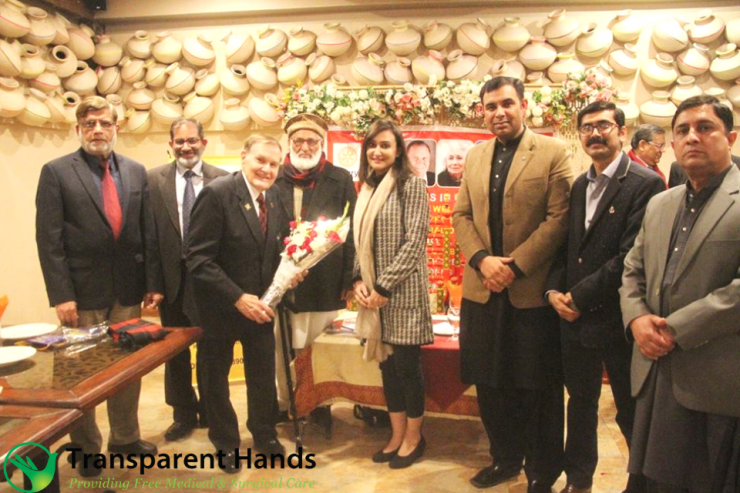 It was a house full meeting which was attended by prominent personalities of Rotary Club and Team Transparent Hands including Mr. Sohaib Manzoor, Corporate Relations Manager. The event was organized by Rotary Club of Lahore Garrison. Ms. Rameeza Mueen shed light on the state of healthcare and the issues that are impacting the lives of underprivileged community. Transparent Hands is looking forward to support Rotary Club in providing the healthcare facility to the deserving people across the country. Rotary Club is the most important and proud partner and donor in “End Polio Now” campaign that was initiated by Rotary International across the world to eradicate polio in 1985. In Pakistan, various initiatives are currently being implemented with support of Rotary International. 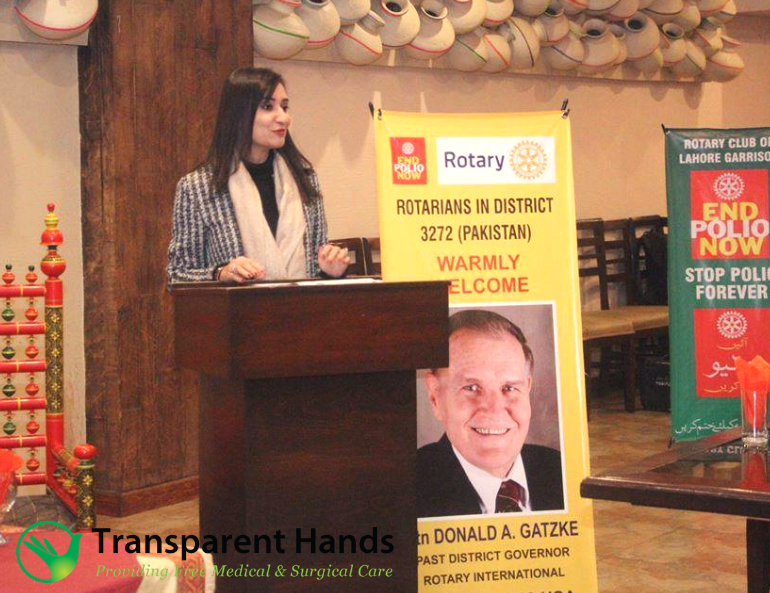 Now, Rotary Club will collaborate with Transparent Hands in spreading polio vaccination awareness across Pakistan. With the support of Rotary Club, Transparent Hands is going to provide polio vaccination facility in its medical camps to the deserving patients soon. Both the organizations are determined to play their roles in eradicating polio across Pakistan.